We were so excited to perform in Phoenix market city, for me it was a dream come true. 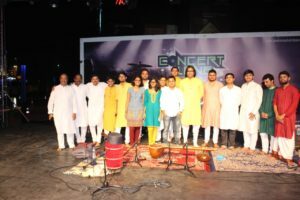 So many people would listen to us, we practiced with so much enthusiasm, I was supposed to sing raag kirvani. It was a raag Malika, we were 8-9 of us. So many of our friends and family came to watch us sing, followed by the instrumental music that left the crowd asking for more. As usual the crowning glory of the event was sitar recital by our guru Sri Prabir Bhattacharya….. This was my first time performing in front of a huge crowd and it was a great learning experience. It is indeed a blessing to be sharing the stage with Pt. Prabir Bhattacharya, who is not only one of the best Sitar maestros in the country today but also one of the kindest music teachers passionate about his students’ well-being. 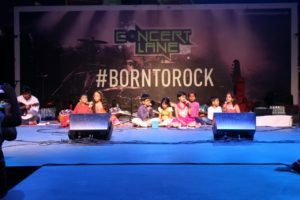 There are enough music teachers and groups out there, but nothing matches the familial love i have felt among Ananda Dhwani members. It makes learning much more pleasant and memorable. I am on a musical break for now, but I am 100% sure that when I will be back, Ananda Dhwani will be there to welcome me with musical embrace. This was the first time I was sitting on stage with a group of fellow students. Being a beginner, I was skeptical about making a presence on the stage so early on but with Prabir Sir’s encouragement and guidance, I gathered the confidence. A unique thing about Prabir Sir is the fact that he never discourages anyone genuinely willing to learn and always backs you to keep getting better. It is indeed a golden experience to be trained by an artist of his calibre and humility. 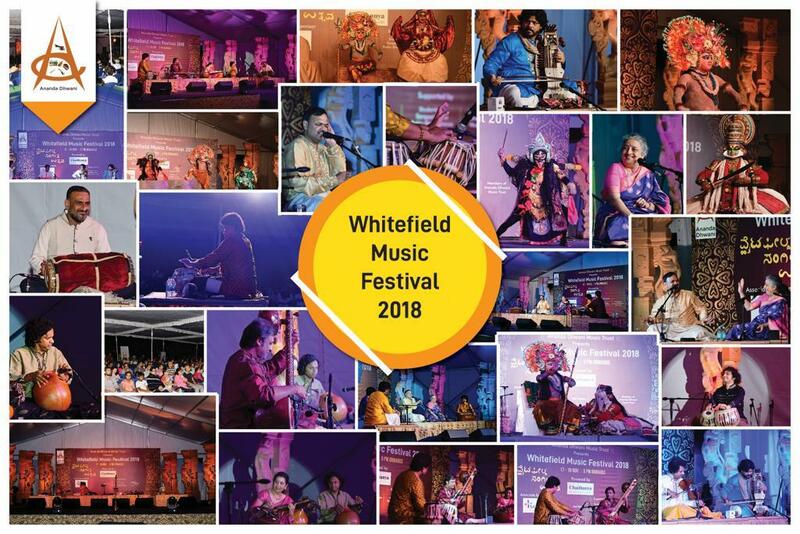 This programme focused on bringing together different artists in an orchestra style setup and we experienced how easily different forms could be combined together to create a great fusion experience that left everyone spellbound.